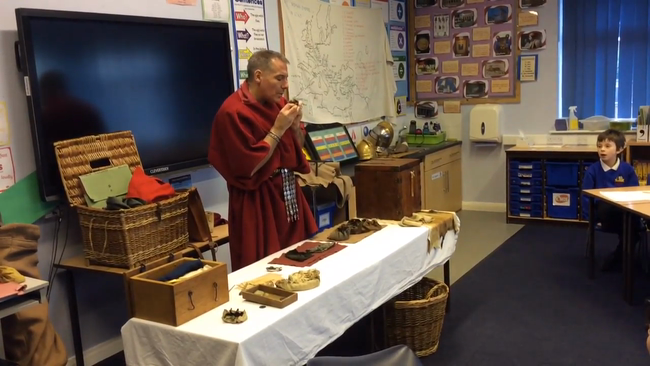 On Monday (11.01.16) a Roman solider came to visit Class 3. 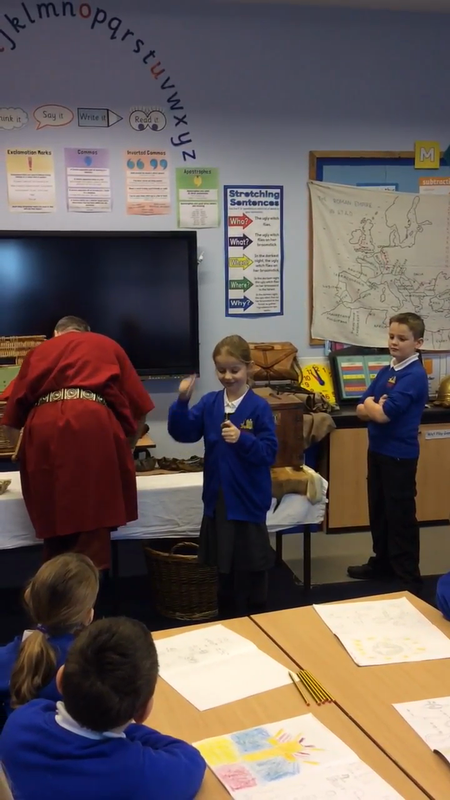 He brought lots of artifacts and Roman costumes with him and told us all about what it was like to live in Roman times. We learnt a lot about the Roman army and how important they were. 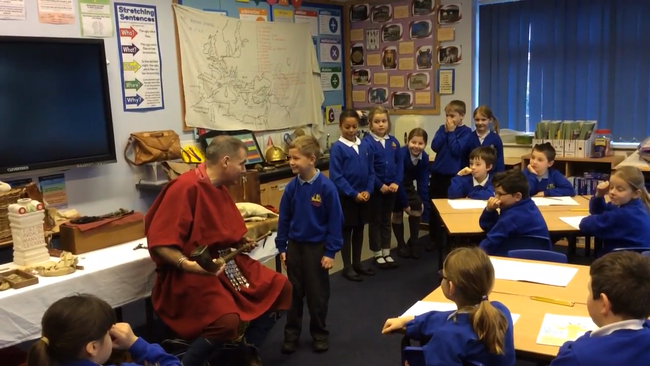 We all had a lot of fun especially as we all got to have a go wearing different Roman clothes and armour or trying out different things the Romans used to do. Some of us wore the helmet of the gladiators, we held Roman swords, tried to blow the horn for prayer and imagined we were archiologists while we examined and sketched lots of different artifacts. We are now all very excited to learn more about the Romans during our topic work this term!